You wake up in a cold sweat. There’s something lurking in the dark, visible by flickering computer light. Something's haunting you. It’s... the real estate listings! Deep down, you'd love to own a home, but whenever you take steps beyond idle window-shopping, a chill runs up your spine, and paralyzes you from moving ahead. We get it—you're about to make a life-changing purchase, and you’re spooked. The main thing that home buying has in common with horror flicks: The fears are (mostly) mere figments of your imagination. So in case you're harboring some heebie-jeebies, here are some of home buyers' top concerns—tackled head on so you know what you're really dealing with. Some house hunters are possessed by worries that their entire savings account will get sucked into a black hole if they buy. Then they'll never be able to afford vacations, or new clothes, or food beyond beans and rice or mac 'n cheese ever again. The reality: Depending on what and where you're buying, you're not likely to drain your savings account, according to Bill Golden of RE/MAX Metro Atlanta Cityside. "There are many loan programs out there that can help first-time home buyers with down payment assistance," says Golden, "or that don't require a severed arm and leg in order to get a mortgage." The best way to determine how financially ready you are to buy a home is to talk to a loan officer. Alternatively, you can also enter your income, debts, and other info in realtor.com®'s home affordability calculator, to see exactly how much you can afford to spend on a home without going broke. The current economic climate may lead some buyers to believe that buying means they'll end up living in a version of a "Saw" movie set—a windowless pit with exposed plumbing. (Without the severed limbs, however.) Fact is, interest rates are low, allowing homeowners to snag a great deal and pay less over the course of their loan. "Also, with the economy being in a downturn, many fantastic properties are being sold for under value," says Tyler Ferguson, owner of Stone Reinvented. We've all seen that movie of the same name where Tom Hanks's life and bank account are shredded, thanks to a rapidly disintegrating old house. But hey, that's just a movie—most houses aren't money pits, and even if there are potential issues lurking in the shadows, like a leaking pipe, you can do plenty to protect yourself. Before the sale, "hire a good home inspector," says Green. He or she should be able to see signs of water damage, or any electrical and plumbing red flags. A home inspector will also advise you on potential repair costs, which can provide leverage for you to go back to the sellers and lower the price you pay. The asking price for a house may seem like an unholy amount of money. But keep in mind, that's just what the sellers are asking for—what they get could be a totally different picture. Your Realtor can help guide you to a realistic offer. "A good agent will know the price points of the areas you're targeting and can back them up with historical data and comps," says Crystal Green, a Manhattan real estate agent for Level Group. Since you can search the prices of homes that recently sold in any area, it's easier to find out what the neighbors paid and gain better insight before you place an offer. 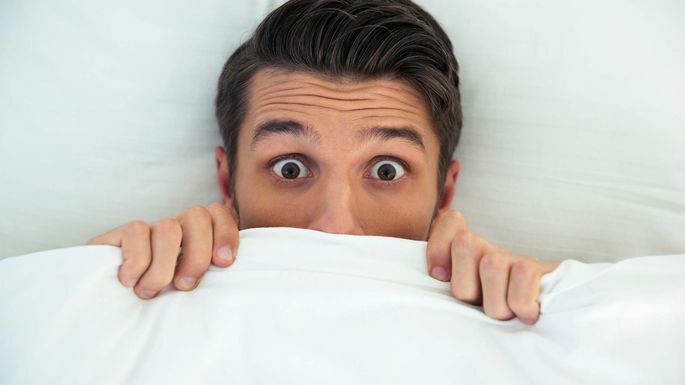 A presidential election year makes many buyers want to hide under the covers until Nov. 8 when the political curse lifts—especially this year. "Everyone talks about uncertainty during campaign season," says Green. But think about it: Unless you're one of those people who really will move to Canada if so-and-so becomes president, will the election actually affect where you choose to live? "If you're fairly confident that you'll remain in a home for three to five years, you should net a profit at resale," says Green. Sure, renting means you aren't trapped in one place, as you are with homeownership. Yet for Scott Forman, divisional vice president of Cross Country Mortgage," rent money disappears without allowing you to build any equity over time. That's truly scary." He estimates that by paying about $100 a month more, many renters could own their own home—and receive tax deductions. If in doubt, use a rent vs. buy calculator to crunch the numbers and see whether it's renting or buying that wins out in your area.